In May, 1938, we moved to 8687 Granville Street. Horace got a job with Gibson Bros as a time keeper and scaler…. in the north, and Clendon had left home,… so I was the only one still living with Mom and Dad. I was 15. 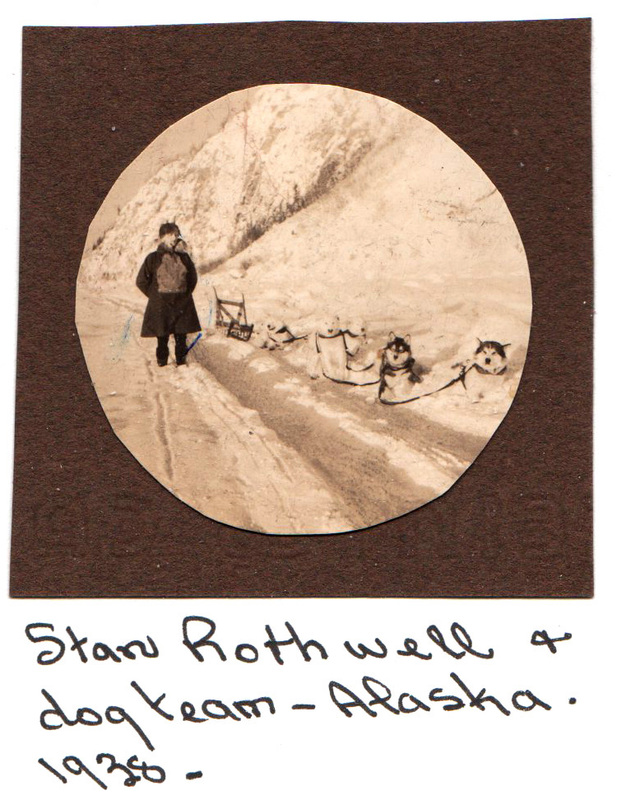 Stan Rothwell was a Canadian Mounted Policeman. He was putting in flying hours at the airport in order to get his Commercial license. He came knocking at out door, looking for a place where he could rent a room. Well… A Mountie! I was so excited.. I gave up my bedroom for him, and I slept on a couch in mom and dad’s room. The extra money from his room rent helped out the family as well. Stan gave me my very first plane ride. I was in a two seater. It was quite scary at first, but very exciting. I remember that it fogged in, and to get below the fog, Stan had to drop down to a lower altitude…and I thought I was going to lose my tummy! Stan would sit around with Mom and dad in the evenings, and told us lots of stories about his police work up north where he worked with a dog team. Stan was staying with us when we got word that my brother Horace had been killed, but he moved on just a few days later. One week after that, Mom’s sister died. … and we moved to her house at 937 W. 26th, so Mom could “look after” Gordon and Harry. That wasn’t such a good idea… my parents were rather strict, and my cousins figured they didn’t have to take orders from anyone….so, in June, 1939, we moved to Langley, just off Brown Road North, on Symonds Road…. Now 48th Ave. I’m not sure of the name, as at the time it didn’t seem to have a name. I can’t imagine what it must have been like for Mom to lose her son and her sister at almost the same time. For a young girl, I’ll bet having a Mountie living in your home and hearing all his tales would have seemed like one long adventure. And getting taken for a plane ride with him… a great thrill, even if it was scary. But life has its ups and downs, doesn’t it? So sad to lose two beloved family members in such a short time. Thanks for coming by, Carol, and for your comment. I’m too full from dinner (noon time) to even think of tea.. sorry. Next time! I’m glad I don’t have three bears hanging out at my place! Good morning Heather! I had to be brave because I was with a MOUNTIE! Let’s have that cup of tea! Of course, when you are 15 nothing much scares you… it’s when you get older that you aren’t quite so brave!